Shetland sheep are one of the smallest British breeds. The face, nose and legs are free of wool with ears being small and erect. The legs are of medium length and are finely boned. A distinguishing feature of northern short-tailed sheep is the short, fluke-shaped tail which is broad at the base, tapering to a point and covered towards the tip in hair, not wool. Shetlands occur in many different colours and patterns, most of which have particular names. The breed produces naturally lean meat as the animals forage over large areas. Shetland lamb has a sweet flavour and is very tender. The texture and flavour of Shetland lamb is distinctive due to the topography, geology and climate of the Shetland Islands. The best flavour comes from animals that exclusively graze Shetland’s natural plants and grasses. Native Shetland lamb is mainly available in the autumn. Originally, the title ‘Native Shetland Lamb’ was coined to differentiate pure-bred from cross-bred Shetland lambs in the Islands’ butcher shops. Now that Native Shetland Lamb is more widely available the name is also used to clarify the origin of the meat in a number of countries where flocks of pure bred Shetland sheep can be found. Meat was traditionally a cold weather feast in Shetland as the older sheep would be slaughtered and prepared for the winter months. Due to the distinctiveness created by the terroir of Shetland Lamb, PDO status was awarded to both pure-bred lambs and the bigger cross-bred lambs derived from the Shetland breed. 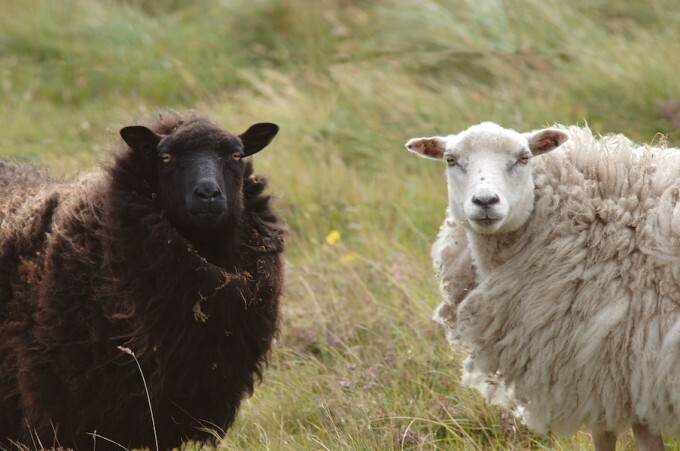 The pure Shetland lamb breed is almost half the size of commercial lambs and consequently the number of producers on Shetland who are breeding pure Shetland sheep has been in decline for a number of years.